Is your website working hard enough for you? Realm can help you to set objectives for your digital communications, identify your target audience and develop a website that will meet your business objectives. Realm offers a comprehensive solution that keeps you in control, with design and content backed up by marketing expertise, a rare combination. Expert Search Engine Optimisation (SEO) services are available to support your site to ensure you are seen by the right people. 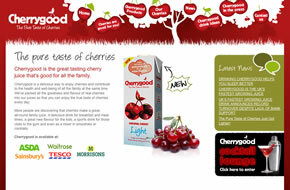 Development of a complete website to support this newly launched cherry juice brand. Complete with blog and cocktail recipe page. All content researched and written by Realm. 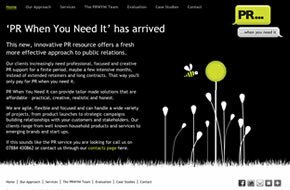 This innovative PR consultancy has developed a new way of working, with a refreshingly effective and dynamic approach to PR. They needed a website that communicates their point of difference and engages the viewer, focusing attention on the companies multitude of skills in an entertaining way. Animations underline and support the key messages on each page. This highly professional electrical services company needed an innovative presentation with sections on energy saving, a ready reckoner for customers and engaging animations. 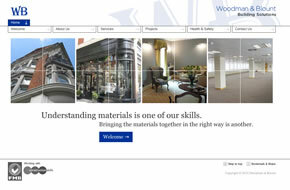 Woodman & Blount needed to show the industry they can provide a wide range of services. All content and photography created by Realm. 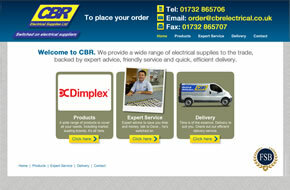 CBR is a new company, providing high quality electrical equipment to the trade The objective was to create a simple and user friendly website to inform trade customers about them. 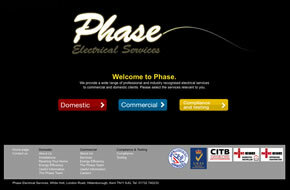 With some simple animation to add interest and information about their expert service. 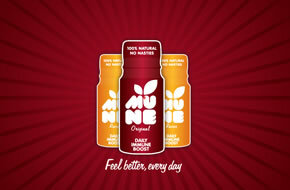 Realm carried out consumer focus groups to assist in the development of the brand name and packaging design. This was followed by a product/ingredient research project. Realm also contributed to the website, helping the developers with content and structure, as part of the project team. 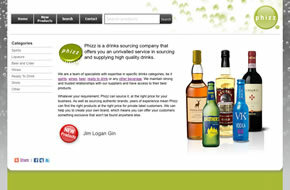 Phizz Drinks Sourcing needed a contemporary look to showcase their brands and a content management system to help customers find the right products.